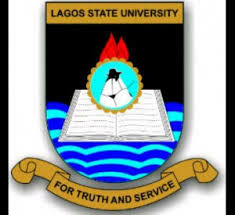 Lagos State University, LASU Postgraduate Programmes Admission Form, Entry Requirements, Application Guidelines and Qualifying Entrance Examination for 2018/2019 Academic Session. Latest Update: LASU Postgraduate Admission List 2018/2019 is Out. Applications are invited from suitably qualified candidates for admission into the Lagos State University (LASU) postgraduate programmes for the 2018/2019 academic session. Click Link To View LASU Postgraduate Programmes & Admission Requirements - [2018/19] General Entry Requirements. Note that you can generate your application number only once. Make sure you print out the application number genaration page in number (2) above. At the Payment portal on Number (4) above, Choose 'Main Campus' for the campus dropdown and choose 'Sandwich/Post-Graduate Application' for the Study Type dropdown fields respectively. Follow the step-by-step instructions to generate your transaction ID. Now go to STEP 3: Enter your 'Application Number' and 'Surname' in the fields provided and click on the 'Submit' button. Follow the step-by-step instructions and then complete your application. You can also re-print your application form as many times as you want. Please can someone use there ATM to buy the form for me? Good day, please when is the next postgraduate form coming out 2019/2020. Secondly I study banking and finance (HND) lower credit can I go for PGD business administration? LASU Sales of Postgraduate form for 2018/2019 is still ongoing, why looking for 2019/2020. Please see LASU Postgraduate Admission Requirements for answers to your second question. Will be announced here and communicated to all applicants via their respective email address and phone numbers. Hello. please can i do a 3 months postgraduate diploma in LASU? Hello, Is The LASU Masters Application still available? Please can i have the price details? Please, will there still be another list? There will be a last and final batch, however If your name is missing from the list, kindly contact your department or PG School. Yes. you are to submit the printed form to school if you are in Lagos, but if otherwise not really necessary. good afternoon, please I have filled and submitted my PG form online, please am I still to submit a copy of the application form to the PG? AM I TO SUBMIT A COPY OF MY FORM TO THE SCHOOL AFTER SUBMITTING ONLINE? If you are in Lagos State you can, but if otherwise not really necessary. Come to the School and Request for it. Is the PG programme for Microbiology full time or part time or how it runs ? Kindly check the admission programme and requirement page above the post. Good evening, being trying to do the online application but the site response is 404: I cannot have access to the site. Sales of form for LASU PG 2018/2019 has been closed. Kindly check back to be updated when the for for 2019/2020 commences.